Local chef D.K. 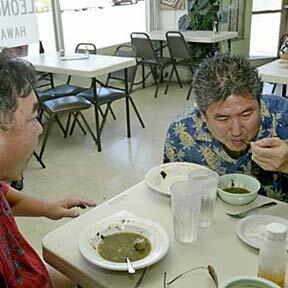 Kodama, left, finishes his luau stew, while chef Alan Wong works on a bowl of poi at Leong's Cafe in Kalihi. Leong's, which has been at its North King Street location since 1966, is preparing to close its doors. »Aloha means goodbye to booze?